Club reporter hints Fulham & Newcastle could complete surprise summer swap deal – NUFC blog – Newcastle United blog – NUFC Fixtures, News and Forum. 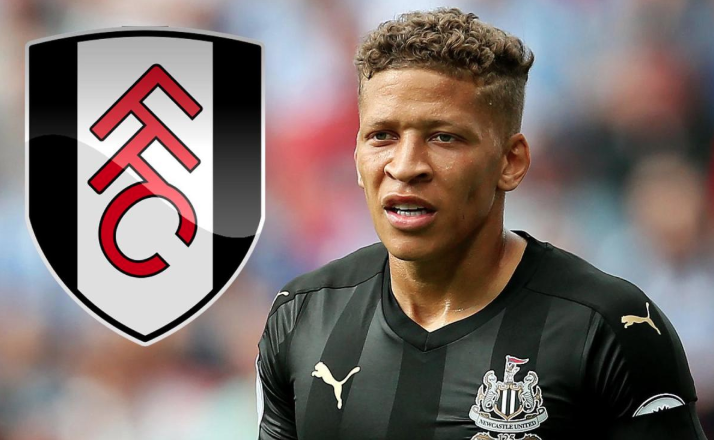 According to the Chronicle, Fulham are keen on Newcastle striker Dwight Gayle – and Rafa Benitez could use that as leverage to sign former target Tom Cairney this summer. This comes from Mark Douglas’ latest piece, where he reveals that Rafa Benitez is still an admirer of the Scottish international midfielder. He also reveals that Fulham actually wanted to sign Gayle BEFORE they brought in Aleksandar Mitrovic on loan last January, suggesting they could make a move for Gayle following their relegation back to the second tier – a league the former Newcastle number 9 is prolific in. ‘Newcastle United striker Dwight Gayle is a potential summer target for Championship-bound Fulham. ‘Gayle will be a wanted man again in the summer but is unlikely to have a future at Newcastle if Rafa Benitez commits to the club. ‘Even though Gayle wants to play Premier League football – either at Newcastle or elsewhere – the most important thing will be to play. And Fulham – who are looking to rebuild in the Championship – remain keen on Newcastle’s former number nine. ‘It’s not widely known, but Gayle was actually their first choice before Mitrovic when they signed the latter in January transfer window of 2018. Newcastle wouldn’t sell back then, so Mitrovic moved instead. ‘Fulham will be busy in the summer and they have some big decisions to make on their star assets. United were keen on Tom Cairney after they won promotion to the Premier League and Benitez remains an admirer of the 28-year-old. Benitez’s interest in Cairney has been reported for some time now. He’s made very little impact at Fulham this season, struggling in an awful side as most players would, however Douglas insists that Rafa ‘remains an admirer’ of his. As he says, the fact Cairney is 28 could make a deal unlikely if Ashley’s transfer blue print is reinstated this summer, but a part-exchange the sees Gayle go the other way could make sense. That said, I’m not convinced Cairney is the answer – especially when his arrival could come as a result of Jonjo Shelvey’s exit. I am not 100% convinced of this. Then again I always worry when buying s player from a club going down. Also his age, we know NUFC like players young. We shall see. No thanks, not been that impressed by what I’ve seen of Cairney this season to be honest. Would swap Gayle & Atsu for Sessengnon though.